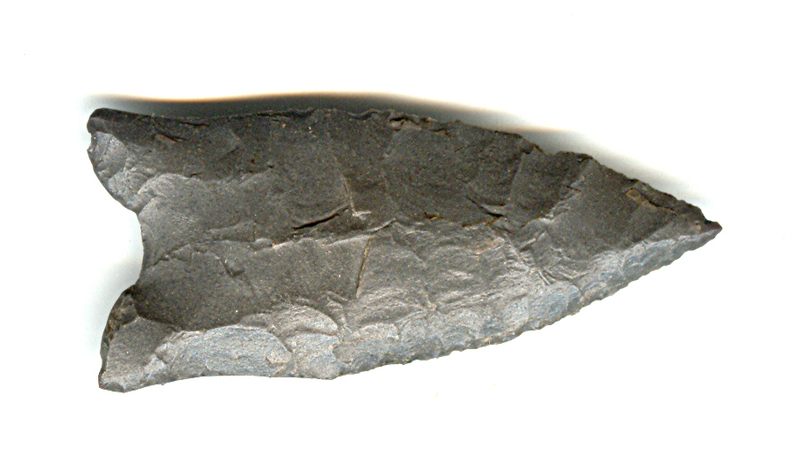 A Medium Size, Early Style, Nicely Flaked, Sturdy And Well Made, Basal Thinned Dalton Point That Exhibits Stone Sheen & Surface Aging Coloration Patination, Correct Basal Thinning, Correct Blade Use Sharpening Reduction, Correct Early Style Flaking, Correct Rolled Basal Stem Edge Hafting Dulling, Aged Mineral Deposits, Correct Type Material & Manufacture For The Area Found. Found By Kathleen Attaway In Hempstead County, Arkansas. This Example Displays Age And Ancient Use! Includes Dwain Rogers And Ken Partain Certificates Of Authenticity!